Imagine there is another timeline where all look almost the same as it was two hundred years ago. In the streets, you may see those fashionable ladies holding lace sun umbrellas. A cinematograph hasn’t been developed at all, hence people read books and go to exhibitions instead of watching Netflix and going to the cinema. No one has ever heard about Picasso, Dali, Warhol or Kandinsky. 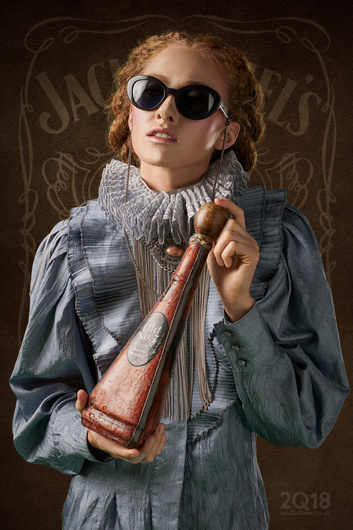 The fashion and art keep standards from 17th and 18th century but it’s the year 2018 and almost all the rest looks exactly the same as you know it in 2018. To avoid confusion let’s name this year 2Q18. It happens you live in 2Q18 having your regular cup of coffee after breakfast, enjoying spicy chicken wings with a glass of coke for dinner, finally having a glass of something stronger in the evening. 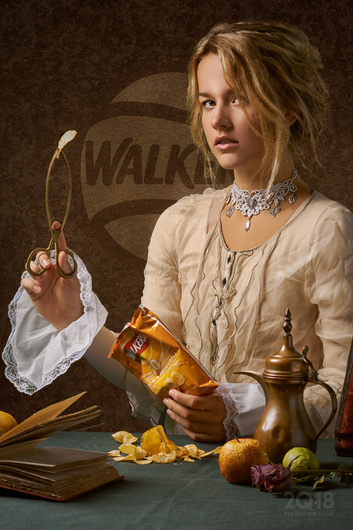 You take the bus or underground on your daily trip to work and in the meantime, you see works of famous painters at the bus stop, in magazines, on billboards. What is curious in 2Q18 all adverts are created by painters. Imagine the leading brands advertise their products in the year 2Q18. 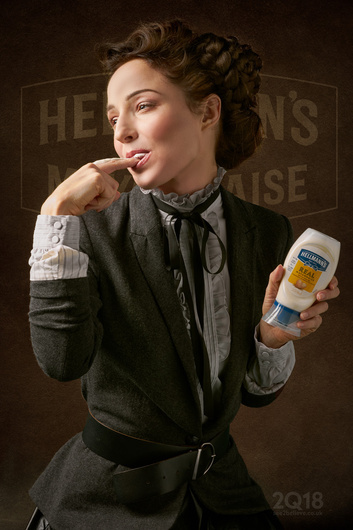 How the Hellmann’s Real Mayonnaise advert may look like? 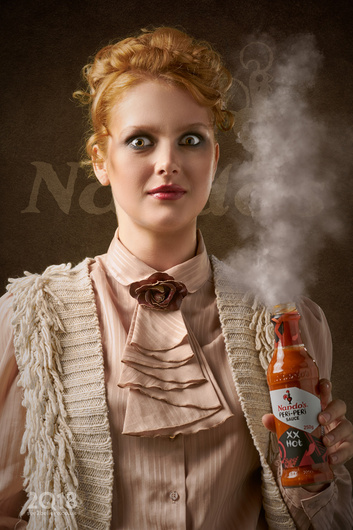 Imagine how Nando’s hot sauce may be advertised? How about Coca-Cola?